For gates up to 400 lbs. or 12 ft. in length. 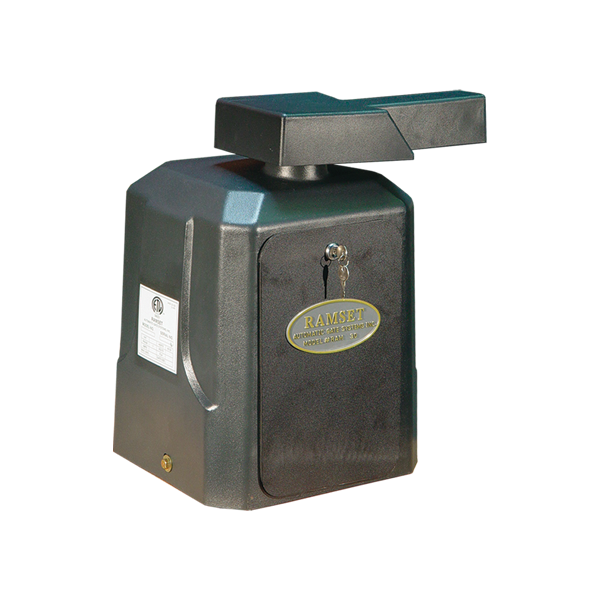 This is a Ramset RAM 30 Swing Gate Operator. The RAM 30 is the perfect operator when you need a small, affordable residential unit. It was designed to move gates in a single-home residential atmosphere while providing the security and comfort of never having to leave your car.